AmberUnmasked.com has been around since January 2010. Prior to that I wrote about comics and cosplay on other blogging platforms. I frequently guest hosted on other podcasts while doing my own YouTube videos, but then decided to reboot my media by dedicating recording to audio podcasts and thus, Vodka O’Clock was born two years ago. 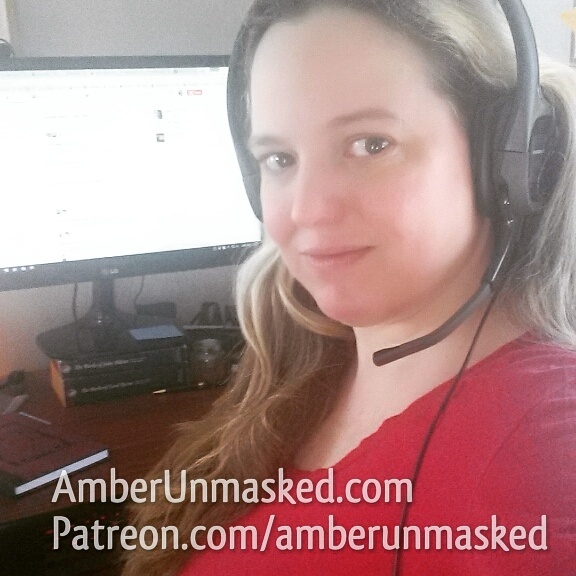 Now you can help contribute to keep the operations here running through PATREON, https://www.patreon.com/amberunmasked. 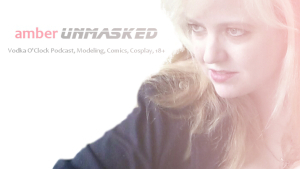 You can support for as little as $1 per AmberUnmasked month (new for 2016). You can also check out my Amazon Wish List which is mostly books and candles — things I consider “treats” for myself and always need. You can never have too many, am I right? Kindle books are best (less storage!). Not everyone will be able to chip in financially and that’s totally understandable. I’m not able to back anyone right now through Patreon or any other crowdfunding campaign. I understand completely that it might not be something you can do. If you can help me share the links to the Patreon page, this site, and the show notes when they’re released, that’s always a great way to help out. Also, as an author, giving my books positive reviews and talking about what you liked to your own followers is a great way to help.